It’s a great pity that Agatha Christie never wrote a book on plotting and writing mysteries. But she did us a favor by creating Ariadne Oliver, the apple-eating, opinionated author with the “booming contralto” of The Affair of the Second Goldfish, and The Cat It Was Who Died. Despite her reluctance to write or talk about her life, Christie was not adverse to using Oliver as a platform for her beliefs on writing, plotting, selling mysteries, and the vagaries of the writing life. So, after going through the seven novels in which she appears, I present the Ariadne Oliver quote book. Each quote or excerpt has a letter keyed to the novel from which it came: Cards on the Table (C), Mrs. McGinty’s Dead (M), Dead Man’s Folly (D), The Pale Horse (P), Third Girl (T), Hallowe’en Party (H) and Elephants Can Remember (E). Robin Upward gazed at her with reverence. “Not in the finished article,” I said. People. “I adore people, don’t you?” said Robin happily. “No,” said Mrs. Oliver firmly. “Sven Hjerson never cared for women,” said Mrs. Oliver coldly. “I’m sure you’d make a lovely speech if you put your mind to it,” said Maria, adjusting herself to the rôle of a tempter. “Blood in the courtyard,” said Poirot. “Of course I believe in the truth,” said Rhoda, staring. “I’d rather have it, all the same,” said Rhoda. “Who shall we have as murderer and who as victim?” asked Robin. “Who’s your present charwoman?” asked Mrs. Oliver. Source: Bill Preschel, author, editor, anthologist, owner of Preschel Press, publisher of Histories Behind the Mysteries; and various Agatha Christie novels. Thanks for posting this, Lee. 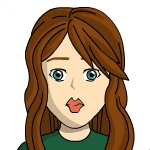 I'm not a writer, but I read a lot and I like learning about different genres and how authors think because it explains it a lot. I've read most of Agatha Christie's books and I've probably seen all of the movies made from them. The Miss Marple stories and shows are my favorites. 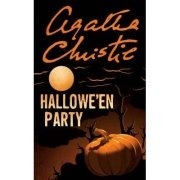 My favorite Poirot book and TV show is "Halloween Party." I was very young when I read "The Pale Horse" and had a hard time understanding it. I also liked "The Pale Horse" with Julia McKenzie, although she was probably the worst of all the Miss Marples. I enjoyed this article. It suggests that Agatha Christie created Ariadne Oliver in an attempt to explain, among other things, why she chose an idiot Belgian for her sleuth and I've often wondered about that myself. I like her Miss Marple stories much more than those with Hercule Peroit because he's always seemed silly to me. Maddy: I recently saw "The Pale Horse" with Julia McKenzie and I think that it's the best of the Miss Marple shows she made. It's also better than "The Pale Horse" from the 1960s. But, like you, I don't really care for Julia McKenzie because she seems too common for Miss Marple, who could be haughty and judgmental at times. I loved the beginning of "Halloween Party" where they were having the Halloween party. It was very spooky. I have that it on DVD. I don't like Hercule Perot that much either, but I love Miss Marple. "Halloween Party" is also my favorite Hercule Perot movie. I like all the Miss Marple shows with Joan Hickson and some of them with Gwen McEwan and Julia McKenzie, but I agree, Julia McKenzie is probably too common to play Miss Marple.